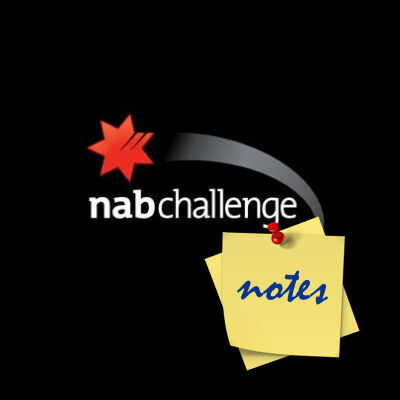 The DT Talk team look at the second weekend of the NAB Challenge. Put your thoughts in the comments. We’ll update each game of the weekend with our notes from them. Click here for DT Live stats/scores. Sitting down to watch a contender for one of the worst games of the year, there were plenty of players on my watch-list to check out in the game. So let’s get cracking on the fantasy stuff – we won’t mention stuff like the three shots on goal in a minute by the Dees that all went out on the full. It was mostly the value Demons I was keen to watch and Ben Newton (MID $192,000) set Twitter alight after knocking up 51 points in the first half before being subbed out (cut head). We’ve talked him up a bit this pre-season, but he is now a lock! It’ll be interesting to see what happens to his ownership over the weekend. For the record, it was 8.8% before the game. Coming on for him was former NEAFL ball-magnet Aaron vandenBerg (MID $120,000). It didn’t take him long to get amongst the points with a mark, kick and goal early in the third. He finished on 52 points (48% TOG) showing why he averaged 127 points in the NEAFL last season. No one ever select or thinking about Nathan Jones (MID $572,000) but it was another clinical performance from him. 23 disposals and 93 points. It felt like he was everywhere and Dom Tyson (MID $510,000) demonstrated once again that he has a great fantasy game. His kick to handball ratio is a winner (16 kicks, 5 handballs) and ended up on 87 points. I think he will almost certainly improve on his 90 average from last year, but maybe not enough for me to pick him. If Heritier Lumumba (MID $402,000) did all that he needed to to stay in contention for our squads. The artist formerly known as Harry O played through the midfield and looked in great touch running off half-back as well. Jesse Hogan (FWD $194,000) booted a goal to help get him to 56 points but it was comforting to see him push up the ground to create contests and find the ball. He’s still in my side, even if he is a KPP. Clancee Pearce (DEF/MID $280,000) led the way for the Dockers taking 9 marks and racking up 14 kicks and 5 handballs. He has to be a consideration with Paul Duffield going down in the last quarter with a shoulder injury. There was no Garrick Ibbotson, so there will be a bit to watch in Freo’s future NAB games. Roy is keen on Lachie Neale (MID $466,000). He topped the disposal count and ended up with 76 points (81% TOG). An ankle injury sustained in the first half saw Michael Barlow (MID $627,000) restricted to 52 points before being subbed before the final term. David Mundy also injured his ankle. A few other observations I had was Jonathon Griffen (RUC $142,000) is the second most selected ruck – mainly for bench fodder who may have a chance to play – but geez… you might as well completely throw that position if he dishes up 23 points in 94% TOG. Yuck! Christian Salem (FWD $193,000) had tongues wagging a fortnight ago when he ‘dominated’ the Dees’ intra-club match running off half-back. Yep, he played out of the backline but struggled to 32 points from 92% TOG. Double yuck! Just another preseason game right? Wrong! There was plenty to take out of last night’s battle between the Swans and the Lions with numerous Fantasy relevant players suiting up. Unfortunately, popular picks in Buddy Franklin and Zak Jones were left in cotton wool but both should get a run next weekend. The highlight of the game for me was Brisbane’s use of the ball through the midfield. Their style of plan will see some really high scores this season and I’m now 100% certain that Rocky and Beams will be Top 8 averaging midfielders by seasons end. At the first bounce, it was the usual suspects in the centre with Kennedy, Parker and Jack up against Beams, Rockliff and Aish. As expected, Tom Rockliff (MID $763,000) was the leading possession winner on the ground with 25 touches and he also led all Fantasy scorers with 97. What’s scary is that Rocky had 0 tackles for the game but still almost cracked the Fantasy ton. I reckon it could be a whole new breed of PIG this season! Young James Aish (MID $420,000) found plenty of it, scoring 96 Fantasy points from just 63% time on ground. He looked really polished through the middle and with a potential big pay day coming from the Crows he’ll want to play well all year. His price is too awkward for my liking and I’m certain that he’d have a few quiet games along the way. Dayne Zorko (FWD/MID $498,000) and Dayne Beams (MID $609,000) round out the best performing Lions. Zorko had 93 Fantasy points in his customary half forward role and Beams was incredibly dominant over a short period with 58 Fantasy Points from 51% game time…that’s hard to ignore! Tom Mitchell (FWD/MID $432,000) gets his own paragraph. The ball magnet made a significant contribution for the Swans working between half forward and the midfield. He finished with 20 possessions, 4 marks and 52 Fantasy points from 74% time on ground. It was obvious that Mitchell has worked on his fitness and the defensive side of his game during the summer. The ball magnet looks fit and primed for a very big year. Fingers crossed. Handball happy, Luke Parker (MID $585,000) was disappointing scoring just 66 from the midfield but given it was his first competitive hitout, I’ll give he and the other premium Swans players a second chance. Daniel Rich (MID $268,000) was also quiet by his standards, finishing with 14 possessions and 55 Fantasy points. Interestingly, Rich has never averaged higher than 85 Fantasy points in a season…is his price tag still worth it? If you’ve got Bellchambers and Matthew Leuenberger (RUC $277,000) as your starting rucks then you may want to reconsider. The big fella attended 34 ruck contests (Martin 44) but had just three possessions and 21 Fantasy at the final siren. Eeekkk! Sam Mayes (DEF/MID $381,000) was also disappointing scoring just 50 Fantasy points…put a line through him. As far as the rooks go, Isaac Heeney (MID $246,000) was the pick of the bunch. You couldn’t miss that strong bodied, blonde youngster running up and down a wing and winning 14 possessions and 55 Fantasy points in the process. Like I’ve said before, the Swans will manage him throughout the year with green/red vests and scheduled weeks off. I’m not picking him. Another first year player, Liam Dawson (MID $163,000) was lively for the Lions up forward. He pushed high up the ground and used his pace to find space and the footy. Dawson finished with 8 possessions, 5 marks, 1 goal and 48 Fantasy points in a solid first outing. Keep an eye on Dean Towers (FWD $208,000) too after his 53 Fantasy point game. So you all probably think that new Giant, Ryan Griffen (MID, $485,000) is the main story here… well he probably is. 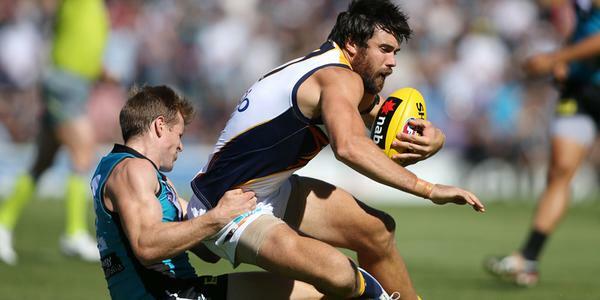 31 touches, 107 points, and no sign of the back injury that hindered his 2014 campaign. Take solace in the fact he also played 79% game time – it’s a great sign for him in March. He also went a greater than 90% disposal efficiency for any of you “super coaches” out there – he could be a wonderful pick up by the Giants, and also your fantasy team. From an old dog to a young one, and former number 1 pick, Lachie Whitfield (MID, $448,000) also had the ball on a string, and ended up with 28 touches ad 104 points. The kid is good. Other GWS midfielders, Stephen Coniglio (MID, $491,000), Callan Ward (MID, $561,000), Dylan Shiel (MID, $510,000) and the end of season number 1 ranked Fantasy scorer (perhaps I’m just a little biased) TOBY GREENE (MID, $583,000) all scored well, with scores all in the 80’s. 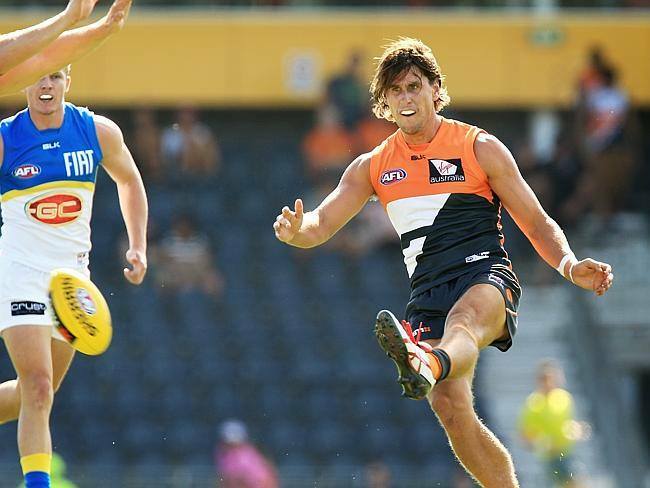 This GWS midfield is incredibly talented, and perhaps the best in the competition – yes, already. The one who I want to dedicate a bit of time to, is Adam Tomlinson (FWD, $416,000), who floated around the ground and ended up with 22 touches, 10 marks and raised the bat; 100 points. He is just about the unsung hero of the giants key position players – we all know about Patton, Cameron, Boyd (when he was there) etc. This kid has unbelievable versatility and agility, takes a strong mark and has footy smarts. Tough to fit him in your fantasy side – but he is draft gold. Keep an eye on him – he won’t be any cheaper than he is at the moment. As for the Suns, well, they were without O’Meara, Prestia, and some bald headed bloke I’m not sure you have heard of… Gary Ablett Junior, among others. They were outclassed all day, not surprising considering the full strength side the Giants went in with. A few things worth noting though – Harley Bennell (FWD/MID, $484,000) is a gun. GUN. 21 touches, 3 goals (2 in 2 minutes to start the 2nd quarter), and a Suns high fantasy score of 95. Kade Kolodjashnij (DEF, $387,000) was second highest scorer for the suns, with 72. However, he did play in the guts, which is a good sign. He currently sits at D4 in my side. Former swan Nick Malceski (DEF, $521,000) played his usual role at half back, but only scored 61 points. The Zac Smith (RUC, $366,000) / Tom Nicholls (RUC, $299,000) combo worries me – they scored a measly 30 points each, with Nicholls doing a lot of the work in the ruck, and Smith spending big chunks up forward. Not much to get excited about from an AFL Fantasy perspective for the Suns today, but there is plenty to like about the Giants. Keep an eye on those Giants midfielders in your draft leagues – plenty of value out there. Anyone I missed, you want to discuss? Comments below, or tweet me @cruttonhutton. Or better yet, go and enjoy your Saturday night and come back to this over your Sunday morning coffee! Sitting down to watch the Essendon vs St. Kilda NAB1 match was an interesting experience. Given the rolling ASADA saga, it has both a) the potential to be one of the most crucial pieces of pre-season research at our disposal, or b) the most pointless way to be spend 2 hours of your precious time. Either way, with only 9 senior-listed players rolling around in the red sash, it was far from a visual spectacle to behold and a Red Bull would’ve come in very handy. Much of our interest has to do with the top-up players Essendon recruited to keep them afloat for the NAB Challenge and possibly beyond. By my count, a 6-month infraction will keep banned Bombers out until Round 6 or so, while a one-year sanction rules them out for the year. How the cookie-crumbles in relation to ASADA remains a huge part of our fantasy research for season 2015, and virtually any ban will push the Essendon rooks and top-ups right into focus for us – a year-long ban will bring experienced recruits right into the frame as well. However, it wasn’t all red and black, all the time on Saturday evening. St. Kilda might not be as relevant in terms of the AFL ladder this season, but an aggressive rebuild puts a slew of players into the ‘natural improvement’ bracket and a few of them certainly piqued my interest with the extra opportunity they’ll see in 2015. Apologies ahead of time about the length – there are a lot of new players to talk about here (Essendon’s squad looked like a high school excursion, with Paul Chapman the angry history professor and Clinton Jones the over-involved parent slash bus driver) and I want to do them all justice. Let’s get straight into tonight’s first lesson – just who were these mystery men masquerading as Bombers? There were some familiar faces that we saw last season – Clinton Jones (67 DT in 83% TOG), Jared Petrenko (23 in 74%), and James Polkinghorne (52 in 76%) had mixed results but would likely be priced based on 2015 efforts – only Polkinghorne would slide it at under $200k and he’s hardly a ball magnet. Cross them off the radar. No, Mitch Brown was the one to impress most in fantasy terms. He scored a team-high 103 DT as a key defender (thank you very much), thanks chiefly to 10 marks and a hugely skewed kick-to-handball ratio of 19 to 3. It was far from a typical Brown performance, who featured as a forward as a Cat – but if his 4 games at 53 DT from last year were to qualify him for a discount, he could become relevant. Keep your eyes peeled. James “The Magnet” Magner was the Essendon name I was attracted to the most, and he certainly induced a current in me. It’s fair to say he had a polarising game – most of his 56 DT points were earned in the first half, totalling just 64% game-time. Puns aside, Magneto will get a serious look from me if Essendon look to replace Watson’s 30 touches a game with a proven performer. For those following the game through the magic of live stats, you’d be excused for scratching your head at this Marcus Marigliani bloke and his 94 DT points (79% TOG). Best way I can describe him – a Paul Puopolo lookalike with Brent Guerra’s mentality, who probably is familiar with the concept of a gym membership. He was a defensive lynchpin for the Bombers throughout this match, and looked very comfortable warming the role that Hibberd normally holds. Essendon’s VFL Captain looked very composed all evening and had a fantasy game to go with it, collecting 10 marks to go with a handy 16 kicks vs his 6 handballs. 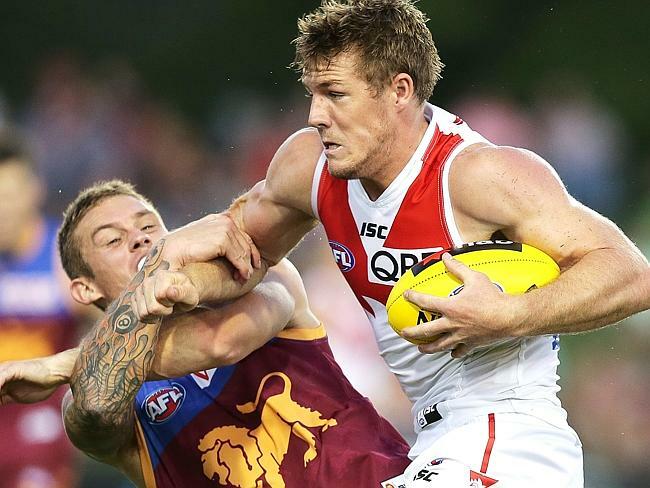 The ruck battle is another key situation that we’re all following for our fantasy sides, and Jon Giles (71 DT from 92% TOG) split his time between the ruck and the forward line, with Shaun McKernan (47 from 86%) providing back-up while Tom Bellchambers awaits a verdict on his future. Both guys are cheap options for your R2/R3 slot, and Giles won this battle with 3 goals to go with the lion’s share of the hit-outs. He’s super value at $342k in the right circumstances… However, possibly the most telling moment was when a miked-up Brendan Goddard let slip that Bellchambers is considered Essendon #1 ruckman – and if he escapes a ban, he surely has to be on your radar as a $281k R/F dual position threat. Don’t forget, Bellcho averaged 80 DT points just two years ago. If you’re looking for a Bomber rookie to come out of this mess with a boost in value, then roll your eyes over Elliott Kavanagh ($142,000 MID). The high draft pick was impressive in his limited time, scoring 68 DT; he’ll get every chance to put his name forward over the next couple of NAB games. Aaron Heppell looks a lot like Dyson Heppell, particularly on standard definition TV, without glasses on. Started as the substitute so had limited exposure, but he was already a fan favourite. One to Lay-Buy for the future. Young Jason Ashby could be a cheeky option at $213,000 in AFL Fantasy, in the event that ASADA drops the hammer of course. Played down both ends and finished with 68 DT points. Irish project player Conor McKenna’s consecutive efforts of running too far, dropping the ball instead of returning it directly and giving away a 50, then encroaching on the mark for another 50m penalty that ultimately lead to a goal, was the best 25 seconds of footy you’ll watch this NAB Challenge. What a legend! With the backline looking thinner than Martin Gleeson’s arms in fantasy this year, my eyes were firmly tracking the efforts of popular under-priced Defenders in Jarryn Geary and Jack Newnes. And they liked what they saw. Newnes looked sensational. While his hard work didn’t necessarily translate to fantasy currency in the first half, he lifted to another gear after half time. Newnes finished with 73 DT from a full game, and the most encouraging aspect was that he played as a full time midfielder amongst a strong St. Kilda line-up. Breakout looming! Geary’s performance was just as pleasing. 72 DT points was the culmination of his 23 touches, with the bulk of these noticeably won close to the logos. I’ve always said I’ll believe the “extra midfield time” when I see it, and from what I saw this evening, it’s the real deal. Geary will be hard to overlook at $333k at this rate. Bonus round! Want another St. Kilda defender in your backline? Strongly consider swingman Hugh Goddard (although he might be a RDT-only special with his $122,900 price-tag dwarfing the $236,000 he’ll set you back in AF). With Ray, Roberton, Savage and now Ross all suffering hamstring injuries over the past fortnight, Hugh might get an early look in. He has a ready-made frame – not in an Ollie Wines kind of way, but in that typical broad-shouldered and lanky Goddard-ish type of way. He enjoyed a purple patch in the second period, but mainly played as a key defender and hence managed just 39 in his 86% TOG. 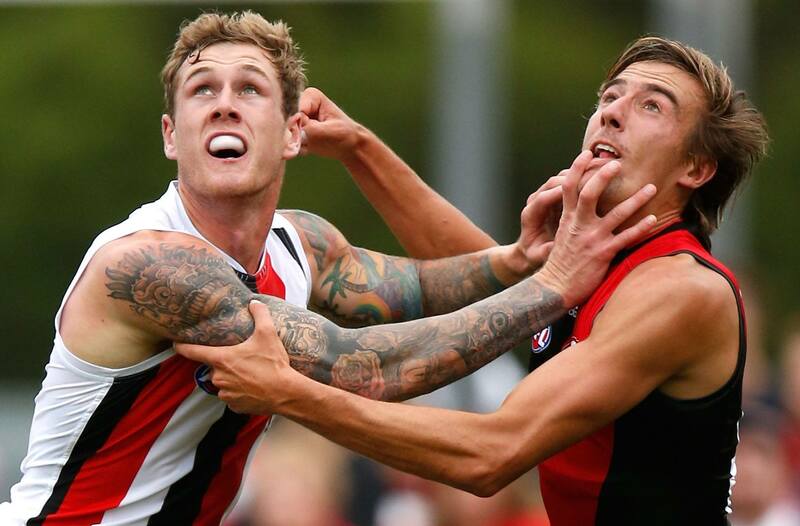 Former Swan and cheap forward Tim Membrey was once again disappointing in St. Kilda colours. He looks like a bikie, but judging by his kicking, he’s more of a butcher. I think the Saints are hoping he’s less of a Tom Lee than Tom Lee, but if he can’t hit the leather with any harmony, he’ll be a similar flavour of disappointment. Just the one goal amongst his 53 DT points – he’s slipping further out of calculations while other rookie FWDs impress across the league. Jack Steven looked HUNGRY. 22 touches and 7 clearances for 79 DT from just 56% game-time is a nice little arrangement of numbers that’ll have me seriously considering him at M4/5 at a bargain price. Follow the rule – 1st year KPP’s are not to be touched. Paddy McCartin (21 DT from 83% game-time) has a whole bunch of talent but is simply too fresh to rack up DT points, and has a price that’ll leave you as an amputee anyway. Clean hands but barely sighted. Blake Acres did enough in the 2nd half to keep his name on the Watchlist. It was worrying early with a mere 7 points to his name at the long break, but he collected 41 points after half time. Acres put in the miles predominantly playing across halfback, and would’ve had more attractive numbers if he didn’t give away 4 frees. Am I convinced? Nope. Am I convinced that he’s a dud? Nope. Tell ‘em what you did Holmes? Tell ‘em! Jason Holmes kicked a goal! The big US import looked less import-ish than I expected and he’s slated to get games this year. R4 stash option. So you were not going to pick Robbie Gray as he is too expensive as a $546,000 Mid/Fwd. Neither was I, but after seeing him today and what he did in the internal trial I think we need to reconsider. 13 kicks, 15 handballs and 3 goals for 111 DT points is enough for me. He won’t travel for the next game but will play against Adelaide in a couple of weeks. Karl Amon ($120,000 Mid) only played about 3 quarters and had 15 touches and a goal for 62 points but will struggle to get into the team I think, If he does, he will wear a vest. He is certainly a player to watch in the future, great skills. Nathan Krakouer ($142,000 Mid/Fwd) played just over a quarter and a half for only 22 points from 7 possessions, but he did look good and I fully expect that he will be upgraded from rookie list, but once again is a big vest candidate. Boak and Ebert did pretty much what we would expect in a NAB round 1 with 74 and 89 respectively and after a very quiet first half Ollie Wines got better in the second half but only managed 54 points. This could have been because Hartlett went off early with a groin injury and he got more attention. Without Paddy Ryder, Matt Lobbe ($505,000 Ruck) carried the ruck duties for the day against Lycett and 11 touches, a goal and 26 hitouts to go with 7 tackles in 103 points. A great effort from the big guy. If Nic Naitanui is out for any period then Lycett ($410,000 Ruck/Fwd) might be looked at by a few people, he only had 9 touches around the ground with 20 hitouts and 2 goals for 62 points. I think against a less mobile ruckman he could be quite good, he certainly took some good grabs. Speaking of players out, Port were without Jackson Trengove and may not have him for round 1, last year a lot looked towards Tom Clurey ($120,000 Def) and may look there again. Whilst he did his job in the game, he only got 36 points ad most of his work was spoils and defensive blocking. Matt Priddis ($611,000 Mid) was by far the Eagles best and had 92 points from 26 touches and 5 tackles. But there were only 8 kicks in that 26, it was tight in the middle and Norwood Oval is a little smaller than the expanses of Domain Stadium that he is used to. Tom Lamb ($201,000 Fwd) was everywhere in the first half. He started up forward and then ended up down back in the second quarter. He had 14 touches (10 kicks) for 62 points as he faded out of the game a bit in the second half, but was certainly very lively. Fraser McInnes ($120,000 Fwd) is another that is being talked about to replace Darling and he made the most of his opportunity with 68 points which included 7 tackles. Brad Sheppard ($377,000 Def) was playing the sweeping role across half back and had plenty of it and plenty of run in the first half. He finished with 17 touches, 4 tackles and 67 points. Luke Shuey ($526,000 Mid) wasn’t someone I really noticed until the second half, he was like Priddis with more handballs than kicks, he had 18 touches for his 68 points. Gaff had 22 touches for 77 points and had Cornes running with him for a while in the second half. JJK ($442,000 Forward) was running off Carlisle up the ground in the first half and took plenty of early marks, but faded out of the game in the second half. He ended up with 9 touches for 1.3 and 53 points. Overall it was an entertaining game with both sides trying to work out the new holding the ball interpretation. I think that both teams were far better for the run. Alrighty. I was catching bits an pieces of this game between watching the cricket and enjoying some birthday beers (yes, happy birthday to me). Sorry that this is short and sharp! First up, Andrew Swallow (MID $508,000) is very under-priced after averaging 89 last season, well down on his best season in 2012 where he averaged 102. Swallow racked up 98 points from just 68% TOG! Huge. Six tackles helped him to get the numbers up there with his 24 touches. The Roos were manages pretty well across the game with not a lot of players having more than 80% time on ground, so most scores were pretty good when you’re looking at them per minute. Jack Ziebell (FWD/MID $480,000) ticked the boxes with 17 touches and 68 points, but I really don’t think he’s going to be a huge scorer… his ceiling is in the low 90s and probably not worth selecting with the other great FWD options. Robbie Tarrant (FWD $142,000) looks good for a bench spot up forward. He scored 60 (64% TOG) as he matched up on Gunston. Trent Dumont (MID $120,000) didn’t play. For the Hawks, who have now lost both NAB Challenge matches, Jordan Lewis (MID $621,000) had his best season last year and played his first game of the pre-season racking up 97 points (86% TOG). Jonathan O’Rourke (MID $220,000) was solid for 60, but I think that’s a bit too much to pay for him. Jed Anderson (MID $172,000) top scored last week and while he racked up 17 disposals, 13 of them came by hand to limit his scoring to just 49 points. Alex Woodward (MID $174,000) might be one to watch for his scoring – he was a magnet in the VFL last year. He started in the vest and played just 19% TOG to gather 9 disposals and 35 fantasy points. Discuss the second weekend of the NAB Challenge in the comments. Vandenberg was playing high half-forward more than in the guts but looked the part with pretty decent disposal and finish. Newton was just a little ball magnet and was playing very well. Certainly a lock for me. Shame about Salem as he did look good in patches, just didn’t see a lot of the pill. Couple more games before I make a move on him. Was hoping Pearce would have a quiet game, but not to be. Had him from day dot and doesn’t look like shifting now. Bit of a scare about Barlow, but should be ok by round 1. Salem was a huge disappointment – if he’s only going to do well against opposition the calibre of his own team-mates he’s not going to do too well too often. Newton and Vandenberg are pretty much locks but was looking forward to seeing Brayshaw in action. What was the reason for him missing out? Brayshaw didn’t travel, don’t think they will play him much this year and allow him to develop without senior expectations. Same goes for all the draftees (Stretch, ANB and McDonald) as thye have relied on rookies too often in the past. is there a spot on Melbourne senior list for Vandenberg to be up graded. He is on rookie list. Why didnt Rocky tackle against the swans? Wasn’t massive tackle numbers how he was able to pump out all those massive scores last year? Maybe didn’t want to get injured? Are u talking about Rocky!? I’m glad I never tried to build my team around the bergerkruz ruck combo! Even though Heeney scored OK for a rookie, I thought he looked overawed in the first half. Even though I am a Swan’s fan, I wont be starting with him either. Berger does seem to be a problem atm but it is only NAB. Rocky is still an upgrade to me. Of course he would have been. Its his first match against another AFL team and players. But I wont be starting with him either unless he is named on the field round 1. Still time for Berger, worst case he makes aa bit of cash for an upgrade. Still able to fiddle my ruck if required before lock out as we will know if Kruz is named early. At least make sure there is bench cover if required. Rocky is still an upgrade target for me as he will likely shed a few thousand before I grab him early. Thoughts on Montagna this year? firstly it was Crutton not Warnie. Also where did you get less than 50% from? AFL website states Kelly having 81% TOG. Head to the AFL site, click on the game in the match centre and on the stats, flick it over to advanced stats. Chad at http://www.dtlive.com.au also does TOG% stats. can you clarify for me as went to this site and it has L Neale as getting 76 points in 30 minutes game time wtf??? Yeah, that’s not 100% accurate in this case. Use afl.com.au if you’re uncertain – Neale actually played 81% gametime. Not sure where you got less than 50%, but I can assure you he effectively played a whole game. I’d suggest 50/60 will be a common score this year, with the odd 80+ for Kelly, given the strength of that midfield and he is still finding his feet. As for saad, it was hard to read into much from a Gold Coast perspective, but 14 touches and 57 points isnt a bad day at the office. Pick 2 out of ibbotson, geary and k kolodjashnij? Can say the same about Ibbo. I personally think there is more upside to Geary than Ibbo. Griffen has ruined all my plans, that performance was kinda too good to ignore, not sure who to clear out for him out of Crouch, Wines, Swallow and Steven, hoping that Swallow has a shocker today. Very fair point, Steven is in the same boat there too. Giants midfield is legit though, I wouldn’t be surprised if Griff wasn’t the instant tag option, even after this. With Crouch, Wines, Swallow and Steven already in your team is your plan to build a team of mid-price hopefuls? More or less, above mid price, but low end premo value picks, with AF infinite trades it’s an approach I don’t mind, none of those guys should go backwards. Yes but you still only have two trades a week which are often taken by injuries/suspension or the need to upgrade rookies before price drops. Basically I’m taking guys that MAY end up nearly keepers with 10 point average jumps ideally, and if they don’t they’ll score competently with 90+ until I’ve got all my rookies upgraded. Basically it’s a tempered guns and rookies approach. Sheppard do enough considering the injuries making him less attacking from the back line? I didn’t see the game but that was my assumption going from radio and dtlive. That’s my mind set. 90% sure I’ll pick him.